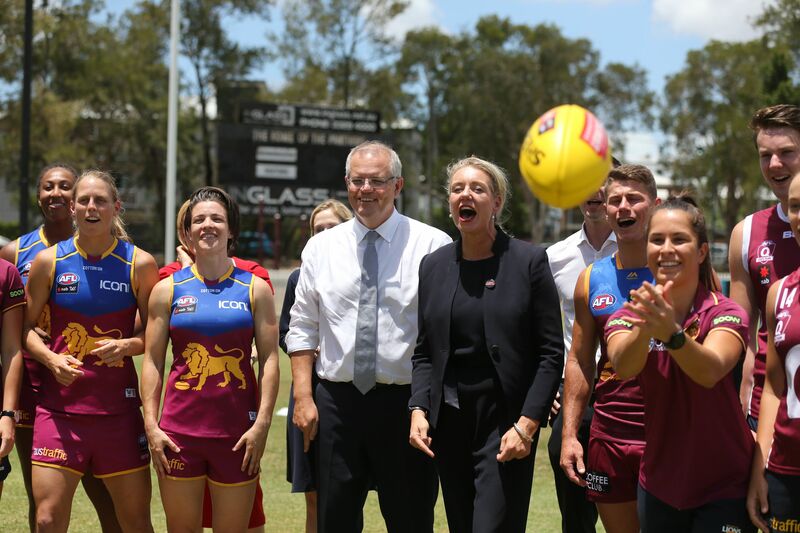 With just days before their Round 1 opener against the GWS Giants, the Lions AFLW team have been given a thrilling boost to the start of their season, with Prime Minister Scott Morrison announcing that the Federal Government will help provide their team a home. 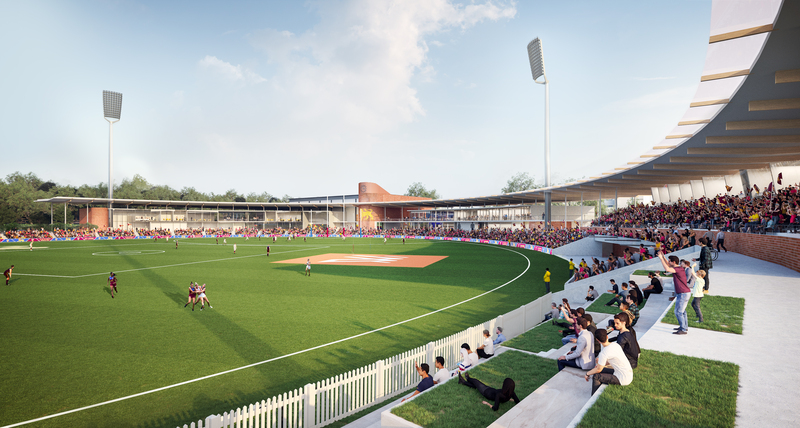 Prime Minister Morrison announced today in front of delighted Brisbane Lions players and staff, as well as AFL Queensland, that the Federal Government will provide $15 million for the Lions’ training and administration facility ‘The Reserve’ at Springfield. This will also include a boutique 10,000 capacity stadium. 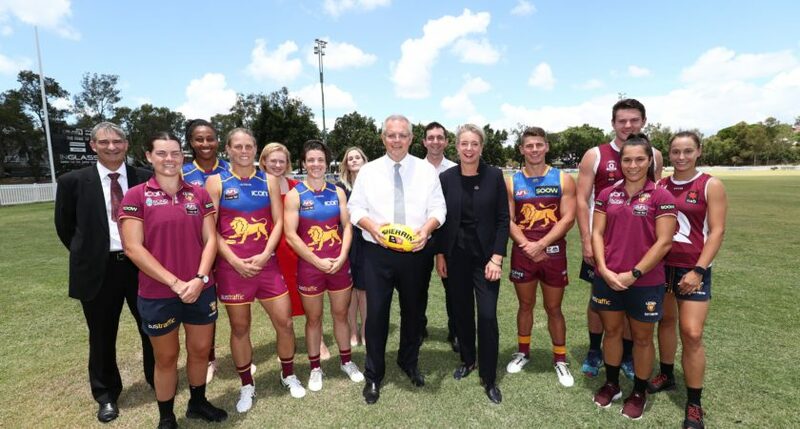 “To give women’s football, women’s AFL, a real shot in the arm, we’re announcing today $15 million for this wonderful project, The Reserve project, out at Springfield, which is going to be the new home of the Brisbane Lions women’s AFL,” Prime Minister Morrison said. “Young girls, all over Queensland, know that there is a home for them in AFL. That there is a future for them in AFL,” Prime Minister Morrison said. To celebrate the news Prime Minister Morrison, along with Minister for Sport Bridget McKenzie, Trevor Evans – Federal Member for Brisbane and Senator Amanda Stoker had a kicking and handballing tutorial with Lions AFLW players Sam Virgo, Sabrina Frederick-Traub and Kate Lutkins, as well as men’s players Dayne Zorko and Connor McFadyen. Lions Women’s CEO Breeanna Brock said today’s news was a dream come true after years of hard work campaigning. “It’s just going to change the game for us, we couldn’t be happier.” Brock said. AFL Queensland CEO Dean Warren said today’s announcement was significant for our game and welcomed the Prime Minister’s funding support for The Reserve. “The growth of women’s football across Queensland has been phenomenal and it has created a need for a dedicated AFL Women’s facility in Brisbane. Footy fans at all levels can look forward to watching matches at a boutique venue as good as any across Australia and aspiring footballers from across Brisbane, Sunshine Coast-Wide Bay and the Darling Downs will be better supported in their development by enhanced facilities for the Lions Academy, ” Warren said. “Importantly, our game will for the first time be able to stage AFL Women’s, NEAFL and representative matches in the fast-growing western corridor. We will be well-placed to engage with coming generations of fans and participants in that important area of Queensland,” Warren added. Lions Chairman Andrew Wellington thanked both the Federal and Queensland State Governments for their support of the project. “The Queensland State Government have previously indicated their financial support for the project, subject to that funding being matched by the Federal Government,” Wellington said. “This announcement from the Federal Government means we can now start working directly with all levels of Government to take the project forward. The men’s team will proudly continue to play and occasionally train at The Gabba. Facilities at ‘The Reserve’ including the pool, gym, meeting rooms and auditorium will be available to the wider community. Construction of the facility will start this year, with an expected completion in 2021. The Lions executive team and football department have spent more than 60 hours in the design process with Brisbane architecture firm Populous. Join the 2019 NEAFL Media Team!